Malayalam cinema once electrified the international film scene with the likes of Adoor Gopalakrishnan, Lohithadhas, MT Vasudevan Nair, KG George, Shaji N Karun, Bharathan, Padmarajan etc. We saw the fall of the great Malayalam cinema post 1999 and after ten to twelve years of misses, in the year 2012, with Ustaad Hotel and Thattathin Marayathu, we saw the rejuvenation, the wave, the birth of New-Age Malayalam cinema. Now in 2015, with handful number of good movies and box office miracles, we are witnessing the great come back. New-Age rejected the traditional stories with a style depending more on narration than a 120 page story with 60 characters. The New-Wave itself is no longer be new. Now, this is the identity of Malayalam cinema around the country. The reach of Malayalam cinema have changed, the fans of the industry outside Kerala is more than ever before, box office figures of some recent movies (Drishyam, Bangalore Days and Premam) were not even in the wildest dreams till 2013. This wave is stronger than the expectations. This wave is to stay here for a long time. This is an overview of the seminal must see Malayalam films which best define the New-Age or say the New-Wave. Ustaad Hotel – This smash hit of Anwer Rasheed is not technically the first New Wave Malayalam movie, but it was the first to gain widespread attention outside Kerala. This Ustaad Hotel biriyani will bring smiles on your face and wanting to watch it again. It gives a rare satisfaction of watching a good movie. The lovely music tracks, performances and the message the movie delivers, all works well together in this diamond among all. Bangalore Days – Its success launched the career of Anwer Rasheed as producer and Anjali Menon as director. Anjali Menon can be called as the cinematic poet for her amazing scripts like Ustaad Hotel, Manjadikuru and now the Bangalore Days. Bangalore Days’ is one of the most playful Malayalam movies, full of next-door characters and incidents, with memorable set pieces. The chemistry between the actors (Dulquer Salman, Nivin Pauly, Fahad Fazil and Nazriya) is simply outstanding and something which cannot be recreated by any means. Drishyam – Jeethu Joseph’s enduring masterpiece is a captivating story of a family coming out of a trouble that is far above than them. This movie can be considered as one of the greatest achievements for Malayalam cinema in-terms of business and in creating lakhs of new followers for Malayalam industry. As of June 2015, Drishyam is the biggest ever box office hit of Malayalam cinema. This engaging family-thriller has been imitated but never bettered. Premam – A very entertaining homage to our memories and yesteryears’ Malayalam classic romantic movies. This movie relatable and connects viewers in one way or another, with absolute zero doubt. This movie is breaking records created by Bangalore Days and Drishyam at the time of writing this. Watching this film will give you a feel of being in love, and will make you wanting for love. This is the movie which established Nivin Pauly as the New-Wave Super Star. Thattathin Marayathu – This musical romantic movie is the perfect introduction to the enchanting world of down-to-earth Malayalam comedy-romantics. This cute and beautiful rom-com kicked off the most celebrated period of Nivin Pauly’s career. Neelaakasham Pacha Kadal Chuvanna Bhoomi – Love, politics, friendship and a journey. Gireesh Gangadharan’s masterful cinematography and Rex Vijayan’s atmospheric score creates an unforgettable impression. This movie will inspire you to start a journey, a journey to feel the world. Ayaalum Njanum Thammil – Lal Jose, a senior director to all others in the list, has created two movies whose significance is equal to any of the other major figures of New-Wave. Prithviraj’s best performance along with Kamal’s Celluloid. Few scenes will remain in you even after leaving the screen. Eg. : Prithviraj character asking for forgiveness to a small kid. Luminous performance. 1983 – This profound, witty, deeply humane and simple story of a cricket lover will leave a mark on you. If you like the films that are simple and reflects many things you know, then you’ll love this beautifully shot musical drama. Diamond Necklace – The stark portrait of a young man’s lavish life and uncontrolled life, represented the new generation who is disillusioned of many things. 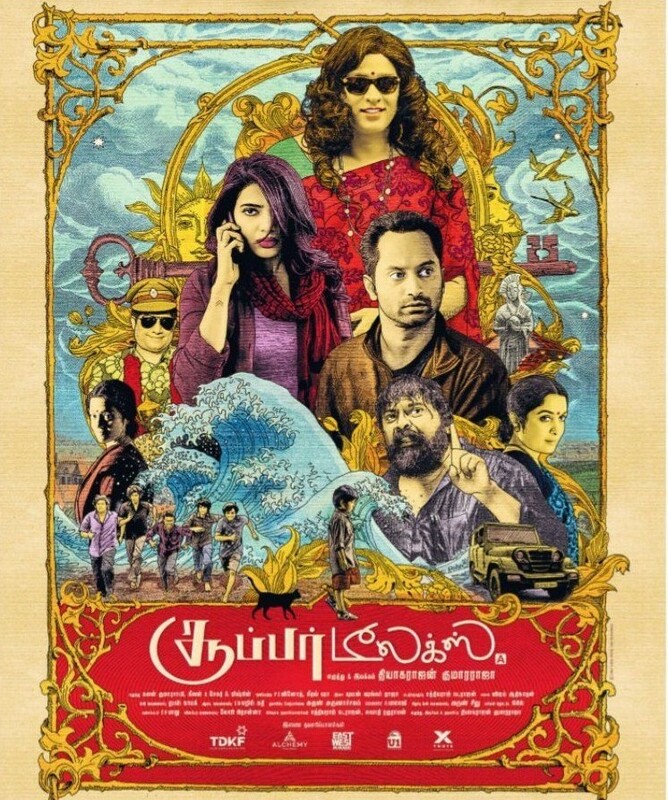 Iqbal Kuttipuram’s excellent script and Fahad Fazil’s performance makes it a must watch. Diamond Necklace is one of the Lal Jose’s most engaging movies, loaded with well-developed characters, unexpected twists and heartbreaking moments. It is one of the starters of the wave.